VAM 1H - Die Gouges Inner Wing #2 is a pairing of Obverse Die 1 with Reverse Die a. We have twelve examples, ranging from an AG 03 to MS 65, so a lot of material for analysis. 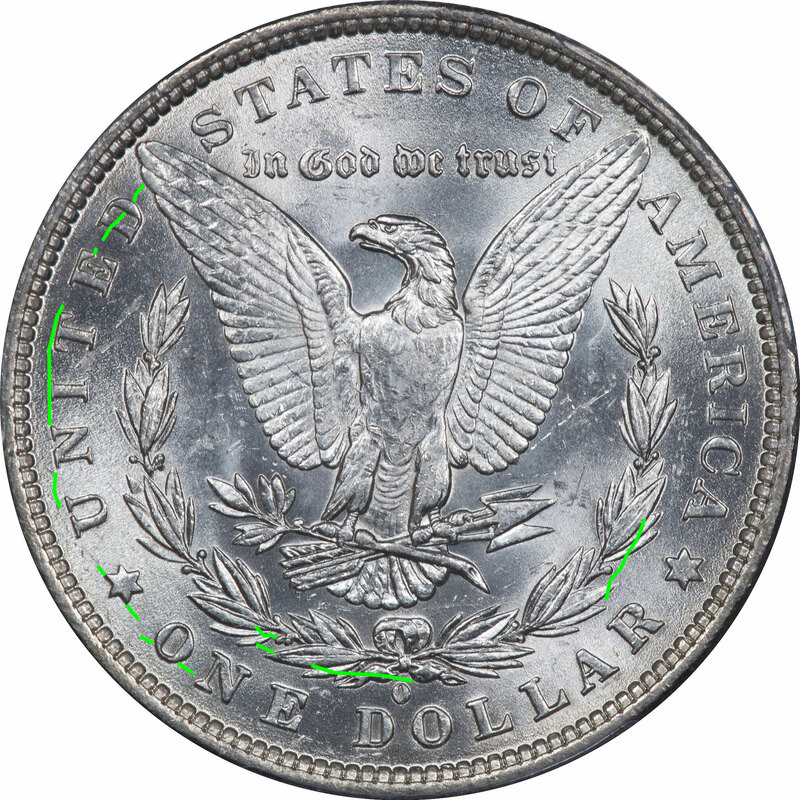 The obverse die cracks on VAM 1H are an exact match for the ones on VAM 40, so it is obviously the same die in the same die state. 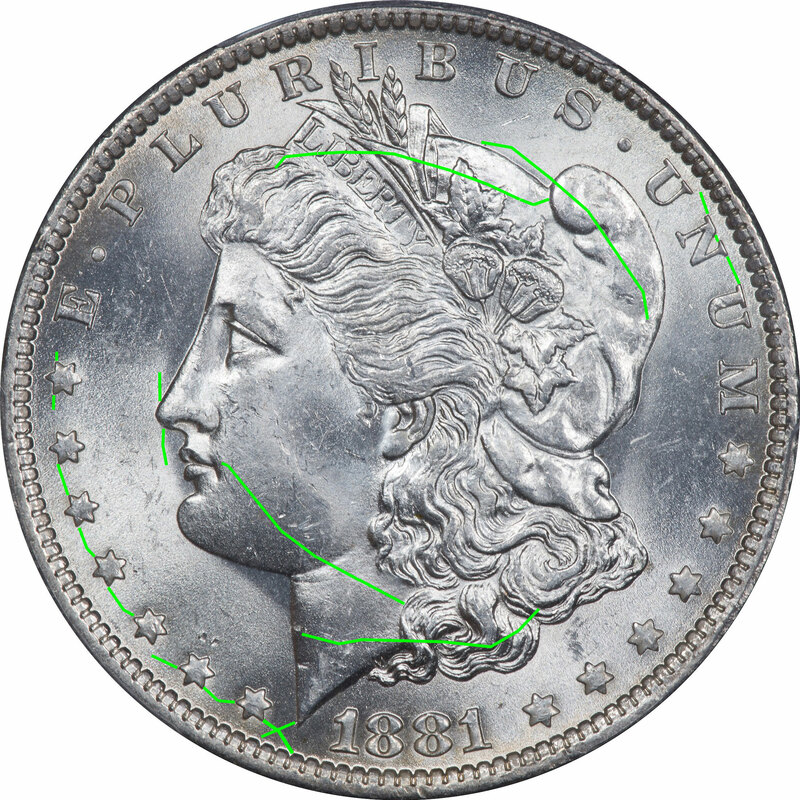 The reverse die has a distinctive die crack that runs across the die horizontally just above the mint mark. This seems to be the most recognizable trait and the one people focus on. But there are additional die cracks in the wreath and toward the rim. The die shows clashing signs inside the wreath edges and above the eagle's right wing. Many of these cracks are identical to the ones on the reverse of VAM 40 - Double Ear Inside and Bottom. Die cracks are shown in green and die breaks in red. Click on any image for a larger view.